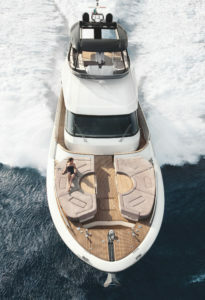 50 North is a comprehensive yacht services firm dedicated to facilitating the lifestyle that only yachting can provide. We work with first time buyers, seasoned yachtsman, and everyone in between to fulfill a variety of needs. Whether you’re looking to buy a yacht, sell your current vessel, complete a refit, or build a new vessel, we can help. 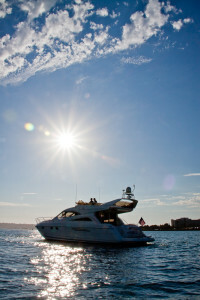 We also offer reliable and trustworthy service and management for all motor yachts. Our team is driven by a shared passion for boating, and is committed to providing expert service in a fun and friendly atmosphere. Building a quality yacht is more than constructing a visually appealing boat; it is leveraging the tradition, refined over centuries, of iterating continual improvement. Quality yachts have style built upon solid hulls designed to handle rough seas, engineered with precision to anticipate the needs of its owner, and delivering understated refinement. We believe this tradition of quality and understated refinement is best exemplified in the military turning point for an island kingdom in 1588. Britain’s rise in naval dominance began at 50 degrees North, 4 degrees West, in the rough seas of the English Channel. A 130-strong Spanish Armada attempted to invade England and lost their first engagement against the English. The whole armada was lost and, with it, the long-term ambitions of Spain, simultaneously beginning the historic reign of Queen Elizabeth I, Sir Francis Drake, and the intrepid English shipbuilding legacy. The sinking of the Spanish Armada began the 400-year rise of British naval excellence and seamanship that is best demonstrated in the lasting quality and appeal of the yachts put to sea from her yards and docks today. 50 North is dedicated to upholding the best of this tradition in delivering quality and value to our clients, not just for today, but into the far future, with a constant focus on quality and constant refinement.